If you have unpaid medical bills, you are not alone. According to a 2014 Consumer Financial Protection Bureau report, 52% of all debt on credit reports were related to medical expenses. 43 million Americans had unpaid medical bills on their credit files. As if personal injuries and accidents weren’t painful enough – medical bills can quickly balloon to unreasonable figures. But even worse than the high cost of treatment is when unpaid medical bills begin to hurt the victim’s credit score. Like unpaid phone bills or utility bills, unpaid medical bills can affect your credit score. As you may know, your three-number credit score is make or break. It can determine whether or not you are approved for a mortgage, a car loan or financing for other major purchases. Unlike credit card companies and mortgage lenders, hospitals and doctors do not report debts for unpaid medical bills directly to credit reporting agencies. A mortgage payment or credit card payment that is 30 days late may drop your credit score significantly, but a medical bill won’t. The problem arises when the bill is so late that the doctor or hospital turns the unpaid bill over to a collections agency. The collections agency then reports your unpaid medical bills to credit reporting agencies and your credit score will be impacted. Though FICO 9, the latest version of the FICO credit score, does not give as much weight to unpaid medical bills sent to collections, most lenders still use previous versions of credit scores that treat medical collections like other debts. 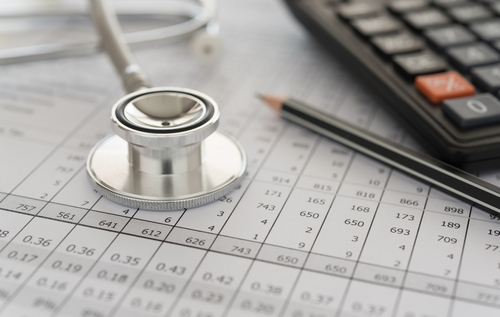 When does an unpaid medical bill show up on your credit score? By the time a collections agency is contacting you about your unpaid medical bills, it’s likely that it is already showing up on your credit score. Because unpaid medical bills show up under payment history – the most impactful factor in your credit score – they can drop your score significantly for several years. Unpaid medical bills can cause many problems, and a poor credit score is just one of them. In 2007, for example, the American Journal of Medicine reported that 62% of bankruptcies were the result of medical bills. Marrick Medical provides world class healthcare for personal injury patients, without the worry of who will pay the medical bills. Our vast network of healthcare providers and dedicated case coordinators allow personal injury patients to prioritize healing and recovery. For more information, please visit our homepage or contact us today.